A while ago I blogged about Effortless Beauty inspired by Lisa Eldridge's Video where she broke down the key products for your makeup bag. Being strong not to over indulge on certain products and having lots of replicates which fill up your bag. 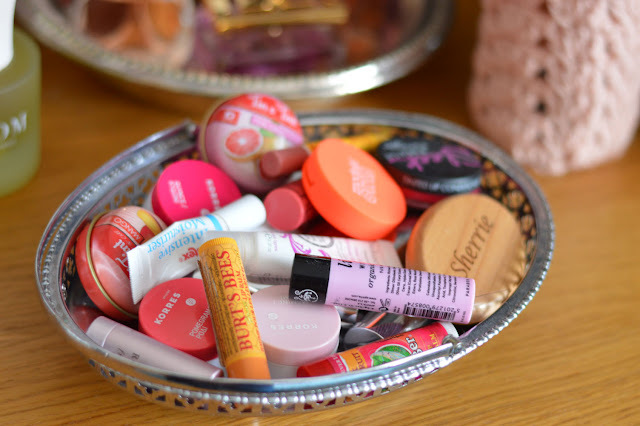 I store the majority of my makeup and beauty products in my Ikea Alex 9-drawer cabinet. But in the morning I don't have time to think and decide what products to use so this is where my makeup bag comes in. 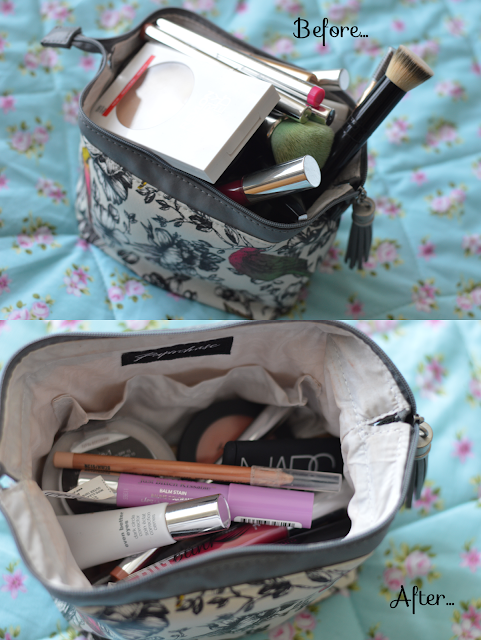 I have a small mini travel makeup bag which comes everywhere with me but I have a larger makeup bag which stays on my dressing table and this is what I delve into every morning, hence why it's key to keep it to a minimum. Not only for time reasons in the morning but also for good housekeeping purposes. Having a clutter free, tidy area makes such a difference. Adding your personal touch/taste to your vanity area makes such a difference plus it still makes it look like a bedroom and not part of Debenhams Beauty department. 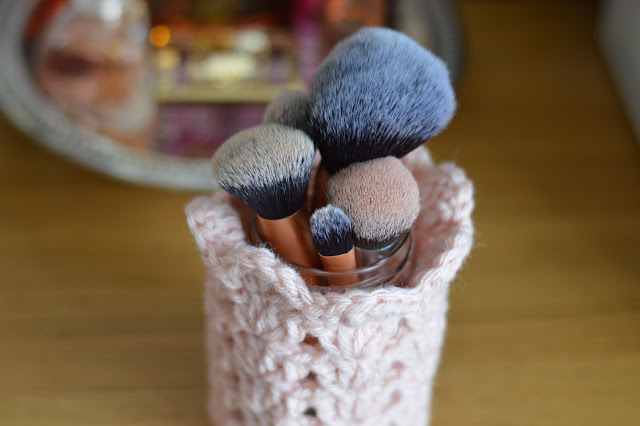 I like to store makeup brushes in old candle jars, they're also great for storing cotton buds and pads. 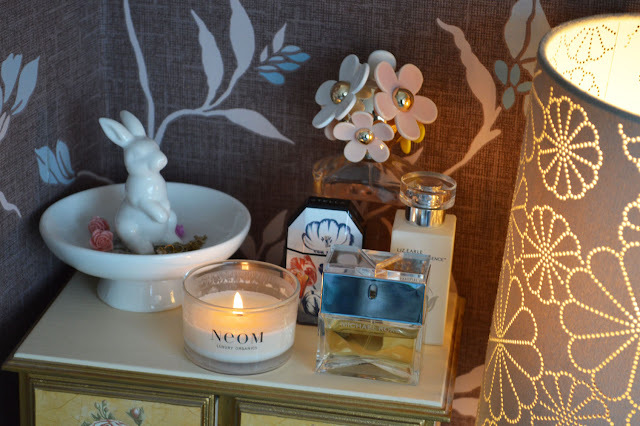 Especially the large Neom candles, they're perfect for storing lip balms or hair ties in. Since becoming a keen crocheter I thought it would be a good chance to mix my favourite two hobbies together. 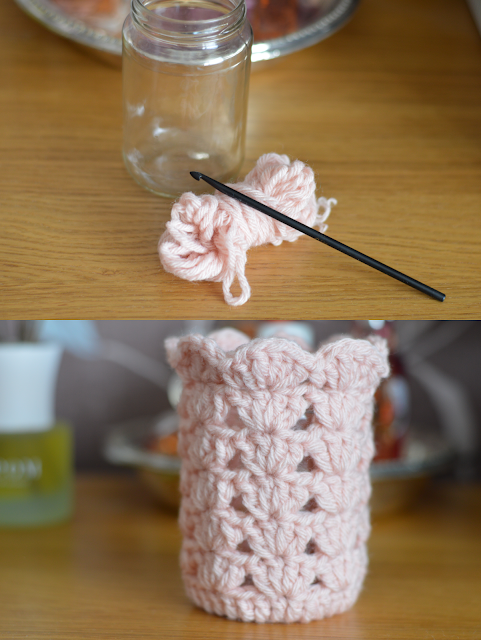 Beauty & crochet, so I crocheted a jar cover. If you would like to see more lifestyle/craft posts please comment below! I love to browse through charity shops and look for storage ideas. 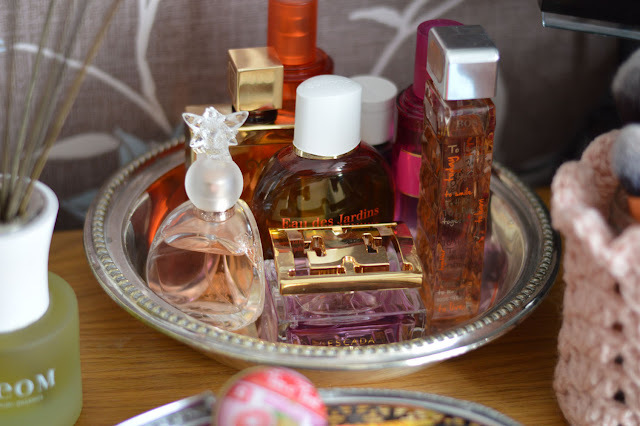 I picked up a couple silver trays which currently house my lip balms and perfumes in. I picked these up really cheap, so next time your searching for thrifty purchases have a look in the home section. 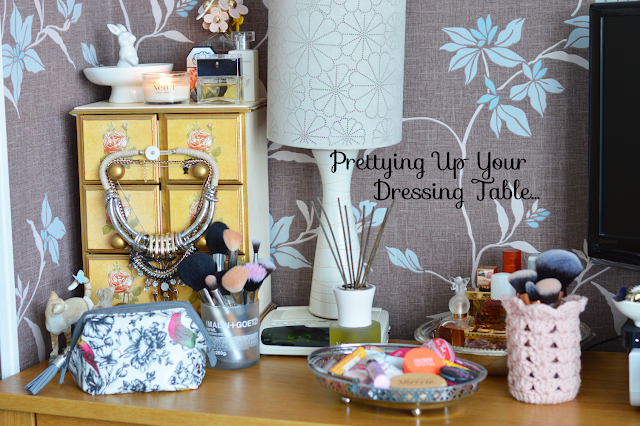 Plus vintage tins, tea cups and saucers are another way to store items lurking around your dressing table. That way your area doesn't look cluttered. 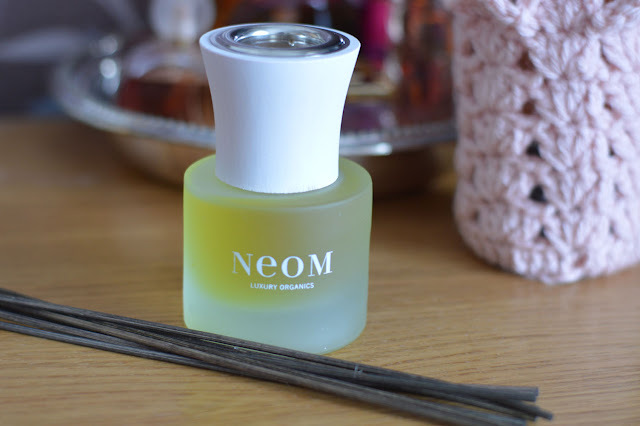 I am a huge Neom fan and burn their candles regularly, I've recently added a Neom Organic Reed Diffuser in the fragrance Sumptuous to my dressing table. A blend of rose and neroli (orange blossom) essential oils. Presented in a frosted glass bottle with natural reed sticks. Neom use the highest quality of pure essential oils. The natural reed sticks absorb the oil and gradually diffuse the scent into your home. Like their popular Home Treatment Candles the reed diffusers also act as a treatment. This fragrance is very calming and soothing which is just what I need! Two of my favourite scents is rose and orange blossom, so this has taken pride of place amongst my dressing table 'pretties'.